When starting your course at LSBU’s School of Arts and Creative Industries you not only benefit from great facilities such as Elephant Studios and the Edric Theatre, as well as heavily subsidised access to Adobe Creative Suite, you also become part of the School’s community. With secure access to our buildings and creative facilities, we ensure that students in the School are given priority when it comes to using these theatre, studio and suite spaces. You will gain the skills and training to make the most of these facilities from lecturers and technicians, as well as the opportunity to form exciting collaborations and partnerships with fellow creative students and external companies. 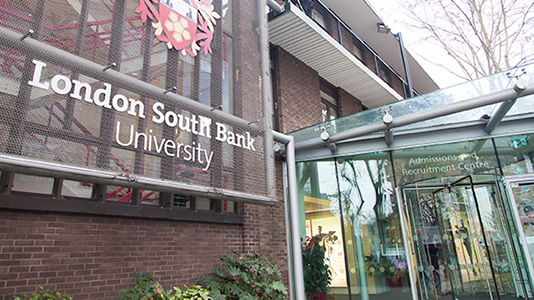 Dedicated LSBU accommodation: our halls of residence are just a 10-minute walk from campus and within walking distance of some of the most creative venues in the city. We also guarantee first year accommodation for students who apply before 31 May. Read more about why you should be here. To ensure that we make life as easy as possible, all full-time undergraduate Home/EU students starting in the School of Arts and Creative Industries in September 2018, will receive a number of guaranteed opportunities and free additional products/services. Subsidised Adobe Creative Suite for all Arts and Creative Industries students. Up to 50 x £500 scholarships based on performance at interview / assessment. Scholarship money will be issued to students in semester two of their first year of study. BA (Hons) Drama and Performance and BA (Hons) English with Creative Writing students: £100 Theatre tokens for the first year. BA (Hons) Photography students: £100 printing allowance for first year. In the "Prepare to start" tab on your individual course page, you can find information to help you prepare for your studies, including enrolment, induction and recommended reading.